Needle valve for the Keihin carburetors as used on, amongst others, the 1976 - 1978 Honda CB750A Automatic. This needle has a Viton-tipped for superior sealing qualities. Although these carburetors were originally delivered on the above mentioned models of motorcycles, they are often transplanted onto other bikes and engines so the range that these diaphragms might fit is much broader. 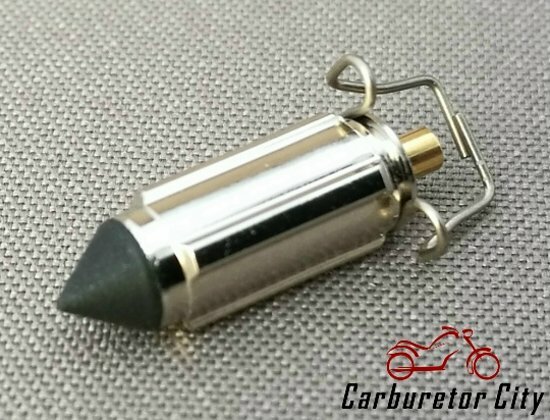 Alternatively, your bike might have been equipped with different carburettors during its life so please verify that the needle shown will fit your bike. This is a Carburetor City Needle Valve, Made in Japan to extremely exacting Standards.